The time has come. 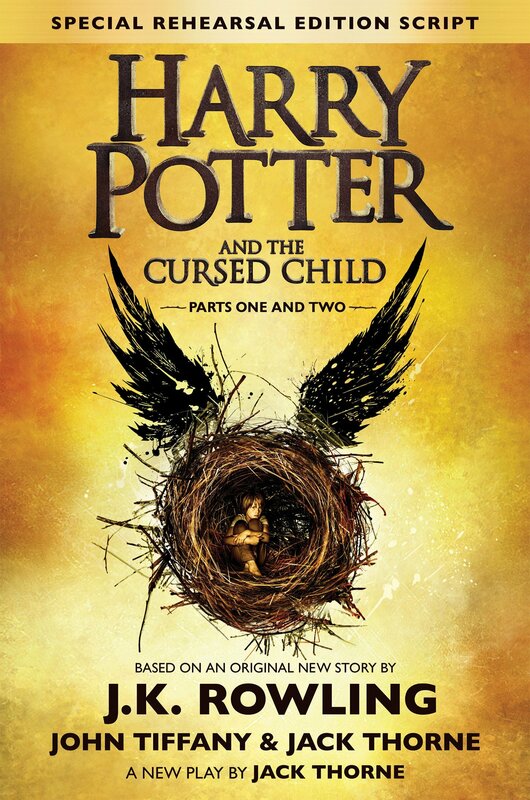 I finally bit the bullet and read the play Harry Potter and the Cursed Child, Parts One and Two, written by Jack Thorne and based on the original story by J.K. Rowling. Published by Arthur A. Levine Books in 2016, this is the rehearsal copy of the new play about Harry Potter – written with the blessing of the queen herself, J.K. Rowling. Some people have Star Wars, some people are obsessed with Doctor Who…I am a Harry Potter fanatic. This was a relationship that began when I was 9, and my older sister had just purchased a copy of the second book, Harry Potter and the Chamber of Secrets. I was young at the time, but since the age of 6 had been reading book series like the Boxcar Kids and Encyclopedia Brown. A large book like this was a whole other ball game. To start me off (with my sister in charge, it was sacrilegious to begin a series with the 2nd book), my sister gave me the original book Harry Potter and the Sorcerer’s Stone to read. Once I started with one page, I couldn’t stop. Before I knew it, the first book was finished, and my world was rocked. In my mind, Harry Potter is more than a book series. It’s an obsession, a hobby, and a way of looking at the world. I say all of this to explain how much I LOVE the Harry Potter series, which is why I was both scared and excited to read this new play by Jack Thorne. To me, no writing will ever compare to the original Harry Potter books. Yes, there were a lot of them, but the excitement and closure that came from reading all of them – with no plan for the author to write more – was an amazing journey that I was happy to go along on. This new play, which follows the original characters into adulthood, was kind of like blasphemy to that closure. In the end, my curiosity got the better of me. The book picks up with the original characters 19 years after the last book left off. Harry is an overworked dad and Auror working for the Ministry of Magic. He is still married to Ginny, a reporter for the newspaper the Daily Prophet, and has three children: James, Albus Severus, and Lily. Ron and Hermione are still in his life, with Hermione as Harry’s boss, the Minister of Magic (girl power). The book begins with Albus Severus, Harry’s middle child, taking the train to Hogwarts for the first time. Albus has doubts about his own abilities as a wizard, and it doesn’t help that his father is one of the most famous wizards of all time. On the way to Hogwarts Albus meets Scorpius, the young son of Harry’s former nemesis, Draco Malfoy. Once at Hogwarts, Albus is sorted into Slytherin House (never heard of for a Potter), which makes him feel even more different and separated from his family. The past comes back to haunt Harry and Albus, as there is an evil presence working to unleash dark magic again in the now-peaceful wizarding world. This evil targets Albus and uses his own fears to unleash a horrific reality and change the world forever. To right what has been done, the Potter family and crew must travel back in time to fix the past and save the future. My reaction to this book was mixed, which has more to do with the fact that it is a play published as book rather than as a novel published as the next Harry Potter book. As much as I loved all of the characters from the original Harry Potter series (even the baddies), the character of Albus Severus was one I did not feel a connection to. Because the book was set up as a play and was shorter, it was hard to get a good grasp on his personality. This wouldn’t have been as much a problem except that he was a central character and pivotal to the storyline. The story itself seems rushed (I had to constantly remind myself that it was a play), and I would have liked more time exploring details of the existing characters. All-in-all, the play was too short and underdeveloped for my taste. There were interesting parts to this new play that I did enjoy. When Albus and Scorpius misuse the Time-Turner and wreak havoc on the reality in the future, we find ourselves dealing with alternate versions of the present. Hermione and Ron are no longer married, instead “Professor” Granger is the angry Defense Against the Dark Arts instructor, and Ron is a sad, non-funny version of himself married to a different Hogwarts alum. In the darkest reality, Scorpius finds himself as head prefect at Hogwarts with Severus Snape still alive and hiding the remaining rebels. The possibilities for what could have been are fascinating, and as a super fan I love getting to see the other side of the wizarding world. Another enjoyable aspect to this play is the delightful character of Scorpius Malfoy, Draco Malfoy’s son. Entirely unlike his dad, Scorpius is the funny and down-to-earth foil for Albus. His best friend since day one, Scorpius provides some much-needed humor and perspective for Albus’s impulsive ways. Scorpius is a good and kind person, and it is ultimately his actions that save the day and banish the darkness. It was amazing to see the Malfoy family find some redemption, and I will be the first to advocate for a future Scorpius story. As a play, I think that this story is creative and has enough details to satisfy any Harry Potter fan. As a book? I’m sad to say that I was not as impressed. 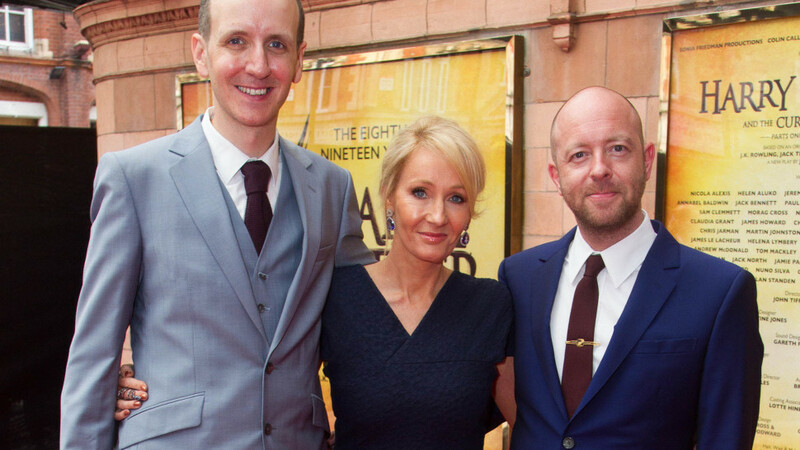 To be fair, Jack Thorne did an admirable job of taking on this legacy that J.K. Rowling created, but I was disappointed in the lack of development with several characters and the storyline. While the book has intriguing themes, I think that I would have enjoyed seeing the play by itself, without reading the book first. I recommend that Harry Potter fans wanting to read this book recognize that it is set up as a play and works wonderfully that way. For anyone who has not read the Harry Potter series (first of all – what is wrong with you?) …do not read this book! For that matter, do not go and see the play either until you have read all of the books in the series. This is for your own good, as you will be extremely confused by all of the book references and will be lost in a sea of wizardry chaos.